Although he didn't have any personal plans for U.S. Thanksgiving, it didn't stop Paul Bissonnette from getting into the spirit of the holiday. His game is based on dishing out hits and uppercuts, but on Thursday, Bissonnette, along with some of his Phoenix Coyotes teammates, dished out turkey dinner and all the trimmings at a local-area shelter. “I actually just finished,” Bissonnette told NHLPA.com over the phone. Standing an imposing 6'3”, weighing in at 220 pounds and sporting some serious tattoos, Bissonnette, the 121st overall selection of the Pittsburgh Penguins in the 2003 NHL Entry Draft, was anything but an intimidating presence on Thanksgiving. In fact, he was a welcome sight for those who depend on the shelter. For Bissonnette, who began his professional career in 2005 with the Wheeling Nailers of the ECHL, it was a rewarding experience. The good feelings don't stop there for Bissonnette. Although he less than 100 regular season games of experience at the NHL level, has yet to appear in a big-league playoff game and sometimes finds himself watching Phoenix games from the press box, Bissonnette is a happy man. 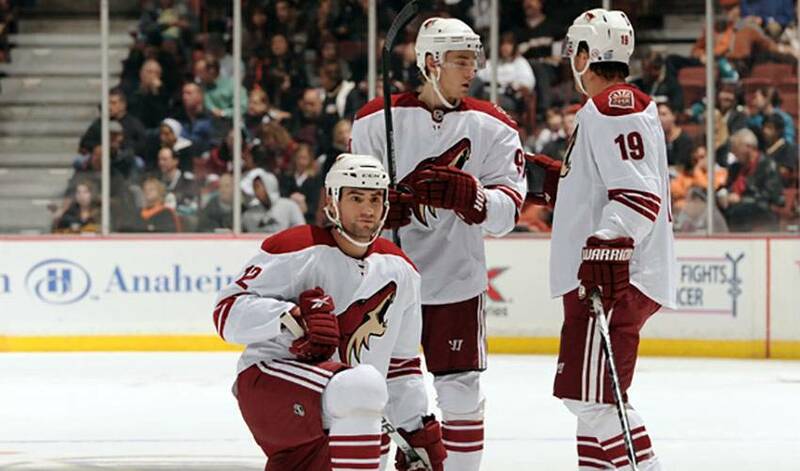 Bissonnette, who suited up for 41 games with the Coyotes in 2009-10, likes the scrappy attitude of the Western Conference club, a team that dismissed their longshot tag last campaign, finishing second in the Pacific Division and making the playoffs. Expectations, he admits, have only heightened in 2010-11. Phoenix has turned it up a notch since their sluggish start, winners of seven consecutive games, as they set their sights on even loftier goals. He's hoping the good times continue to roll. It's one of many things Paul Bissonnette is thankful for, something he was no doubt reminded of when he reached out to lend a hand to those in need.